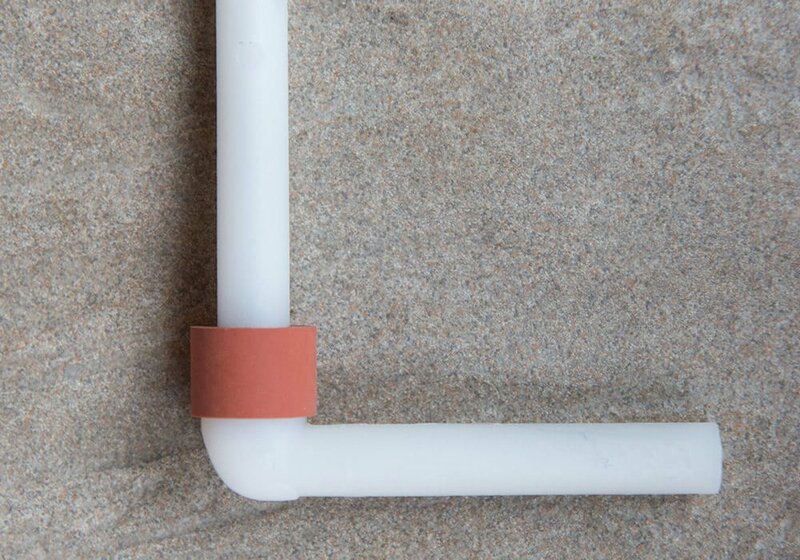 Cornerwise is a special connecting and sealing piece which securely attaches Edgestrips which are used along the sides of the cathode plates to the ones used along the bottom of the plate. The Cornerwise piece connects Edgewise profiles of any slot size and strongly clamps them together at the corner of the cathode plate using the same strong mechanism. The seal attached to the Cornerwise connector seals the small metal strip remaining on the side of the cathode plate, preventing electroplating in this area. 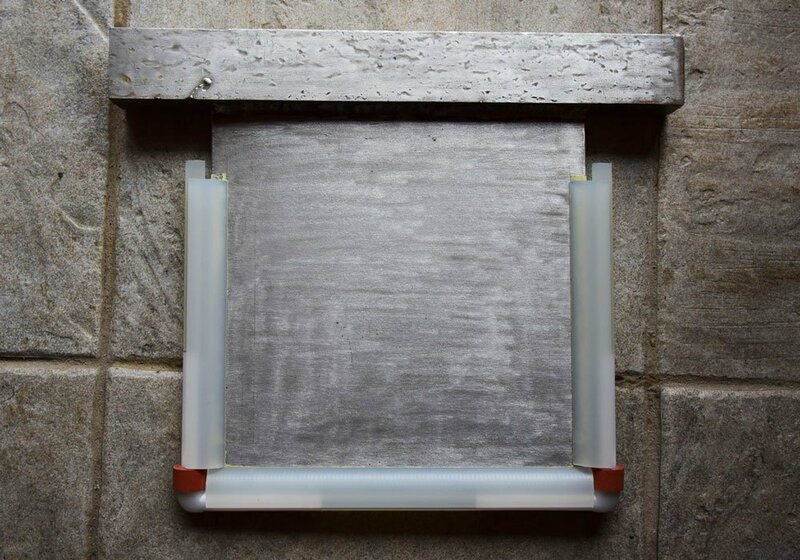 This forms a secure continuous protected sealed edge to the cathode plate along all three sides. Fit bottom profile first without spreader bar (should be flush with both sides of the plate) and then both side profiles so that side profiles are on top of bottom profile. Place rubber seal on the longer side of corner bar and push it into its corner against the flat disc. Hold it against the side and bottom profiles with the longer bar (and seal) against the side profile. Using a rubber mallet, hammer the bottom section of corner bar on first and then the side section (which includes the seal). Place the bottom spreader bar up to the end of the fitted corner bar and hammer into place to fix the bottom Edgestrip. Place the side spreader bar (on same corner) against the end of the fitted corner bar and hammer into place to fix the side Edgestrip. Attach the other corner bar in the same way as above. 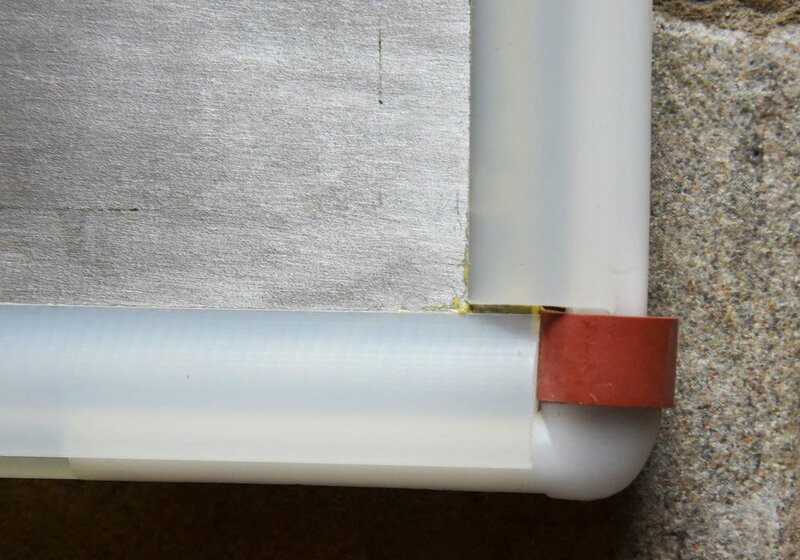 Attach the final side spreader bar and complete process by trimming the excess tape from both sides and bottom of the cathode plate.